My friend Luchita has also finished her owl quilt. This sure turned out to be a popular pattern, didn’t it? 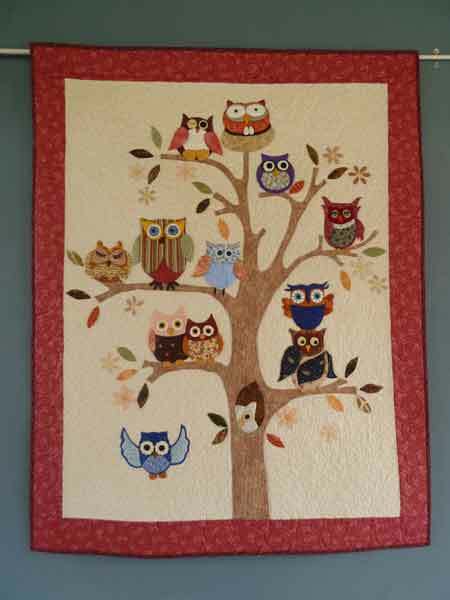 Very fun quilt, love the different owls. Bravissima Luchita, e’ molto bello.